Congratulations goes out to Kathe!!! I have sent Kathe an e-mail and I'm waiting to hear back from her. Hello there! The other day, I realized that we had THREE birthdays coming up, all within the first 10 days of February. I mentioned it to Kelly and she asked me what I was gonna do about it. Well, since they were all in Virginia, and I'm in South Texas, I also had to factor in some shipping time....what to do, what to do? I was gonna use up some fleece, that's what I was gonna do! That would solve a couple of problems - easy, quick birthday presents, and use up some fabric, how could I go wrong with that?? So, I got busy and embroidered and sewed up four scarves real quick. I sent Kelly a picture of some of them, and she wanted to know how I made them. So, here I am, sharing with her, and you, her dear readers. So, grab some fleece, a ruler and thread, and let's go! For these scarves, I decided to use some of the Wrapped Up in Winter designs from Embroidery Library. They're just too cute, aren't they? And sooo easily customized with simple color changes. (7x2 plus 4 (seam allowance and 1 inch on each side of the design)). Remember, if your selected design isn't as wide as mine, you won't need to cut such wide fleece, and if you're doing another color fleece for the scarf back, you'll need TWO long pieces of fleece, but only wide enough for the seam allowance and design. For this tutorial, I'm going to assume you're working with one piece of fleece. Find and mark your center. I put a light chalk mark, but then I stuck a pin through it so I could see it better. You'll want to make this mark at least 6 inches up from the short end of the scarf. This'll allow room enough for you to add a name and a fringe later on. Pick your colors - this was the hardest part for me - always is. Hoop your fleece and stabilizer. Now, you've got a couple options here. You can use one piece of Floriani Cutaway, or a couple of pieces of Floriani Tearaway - totally your choice, and dependent upon how dense your design is. There's no need to hoop the fleece (and if you try to do so, you'll probably get aggravated, not to mention, hoop burn on your fabric).....just hoop your stabilizer, then pin your fleece to the stabilizer. Below you can see the pin I placed for centering. Let me warn you - I just bought a new Babylock, and one of the advanced features is that automatic targeting system, using stickers that look like baby snowmen. I used one of them on the first scarf I did...follow my advice, not my lead, and DON'T. Do NOT use those stickers. Those babies are just tooooooo sticky, and a lot of the fleece's pile was removed when I removed the sticker. Surprise! (Same reason I don't recommend Adhesive Stabilizer for this fabric.) So, I used a pin for centering all the rest. Move your needle over to the pin, but don't start sewing yet!!!! Just move your design so the center of it is roughly where your pin is. Remove your hoop, but don't take your fabric out of it...just pin a layer of Floriani Water Soluble Topping over your design area. This will help lay the fuzzy pile down and float your stitches on top of it, giving a nice, even fill that will appear nice and dense. Why didn't we lay down the topping before centering the design? Because we would have laid that topping down right over top of that centering pin, and we all know what happens when needle strikes pin, right? Now, this next part is totally optional, but since it adds stability, you'll lessen the chance of wrap-arounds and pull-aways. Wrap-around is where the bobbin thread wraps to the front of the stitching, and pull-away is where your stitching areas separate from one another, leaving your fabric peeking through (trust me, neither is ever a good look). A good rule of thumb is one sheet of stabilizer for every 8,000 stitches. So what I've done here is taken one of my scraps of tearaway and tucked it under the hoop....it's not attached to anything, it's just laid down on the bed between the hoop and the throat plate. Obviously, you'll want to make sure your design is going to stitch in the same area as your floating stabilizer...So, this design is about 18,000 stitches, and I've got 3 layers of tearaway, which will hold about 24,000 stitches - I'm good to go. Load up your first color and press START. Let 'er rip! When your stitching is all complete, remove the hoop from the machine, remove all the stabilizer and topping and trim any long jump stitches. Now it's time to turn your embroidered fleece fabric into a scarf! Fold it in half, lengthwise (or put your two pieces right sides together), and pin. If you're going to make a fringe, be sure to start and stop your seam accordingly...see where I double-pinned? That's approximately where my fringe is going to start. 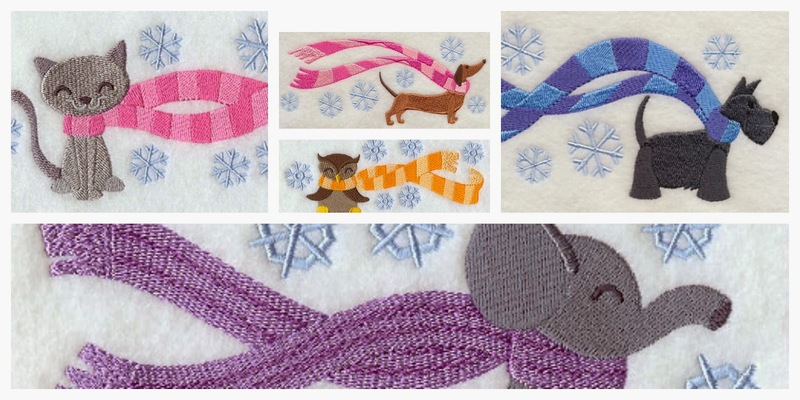 Because fleece is stretchy, be sure to use a long zig-zag stitch. You know what'll happen if you don't? You'll have wavy seams and broken stitches. Trust me on that. Oh yeah, a walking foot will make it much easier and neater to sew. When your seam is sewn, turn your tube right side out and roll that seam around to the center back (if you're using 2 separate pieces of fleece, just make sure your side seams are lined up nicely on each side). Run a line of zig-zag across the scarf, just past the start/stop point, leaving the fringe end open. Trim the selvage off each short end and fringe as desired. Just be careful and don't make your fringes so skinny that they pull off. And don't cut all the way through the line of stitching (I probably didn't have to tell you that, but I'm sure McDonald's didn't think it had to tell people its coffee was hot, either). Since it's not woven, fleece won't ravel, but I prefer the look of the pinked edges. Feel free to use straight scissors if you wish. And that's how she did it. These sew up quick and easy and nice they're so light, they were easy (and inexpensive) to ship. I'm told the kids loved 'em, and my hubby is thrilled that fabric went OUT the door instead of in (sshhhhhhh, don't tell him I bought about 5 yards of something pretty when we were in Austin the other day.....)! Win-win-win! Thanks for letting me crash your blog, Kelly. Let me know if you have any questions! The first time I laid eyes on this book it was mine...I just knew it. Then I saw who wrote it and I knew why I loved it so much. Cecile and Rachel from Just Another Button Company wrote this fun book!! I do my very best not to "collect" too many things because the more you own, the more it owns you...right? Salt and Pepper shakers are one of my weaknesses and the other is pincushions. I love to give and receive them as they are so much fun. 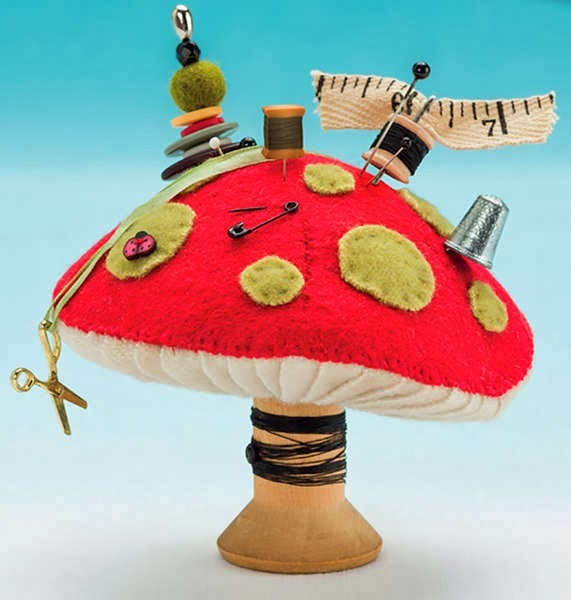 Cecile and Rachel will tickle your pin cushion fancy with all the patterns they have in their new book, Pincushion Appeal. 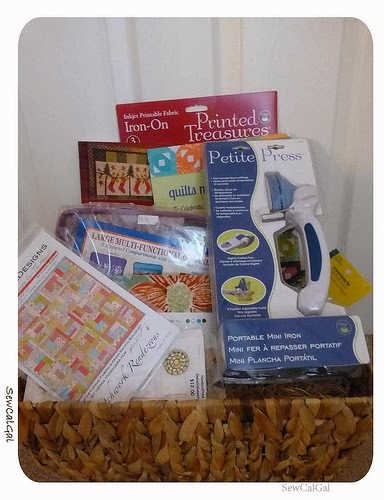 Not only are you going to have a chance to win this great new book....but your prize will also include the fabric kit and a tiny packet of extra embellishments. I can not guarantee you'll have the same anti-depressant effects I receive....but I bet you'll be dancing at your mail box if you are the winner. A few notes about this giveaway....you must be an IHAN ® blog follower to win, you must leave a comment on this blog post (before 1/31/14) and you will be asked to pay the shipping associated with this prize (shipping from 43551 zip code). See the Rafflecopter below to enter. Best of luck to all of you in the giveaway....if you like Pincusions or know someone who does..I know you'll enjoy this book immensely. I set my sewing goals very low and raised my connecting time quite high and that was the perfect combination for me this year. The Historic Wheatly Barn is adorned with a beautiful quilt block. The Fanaslau Barn Quilt in all its glory. The beds are all adorned with amazing quilts as well...talk about heaven...yes...I'm in heaven here and have to leave today....booo hoooo. If I don't get on the road I'm going to have Mr. McSteamy blowing smoke and the co-workers looking like orphans....gotta run. Patsy Thompson.....is she in Ohio, North Carolina, Texas, California??? I guess it depends on which day of the week it is! Yep, Patsy does travel quite a bit so when I met up with a group of gals for a machine embroidery lesson yesterday, I was tickled to see Patsy in the flesh. Patsy came to demonstrate her way of hooping projects or should I say....not hooping projects when she is creating her quilts. There is a free download on her website, HERE, that is a guide for aligning your project no matter the orientation in the hoop. Patsy is a non-traditional machine embroiderer and has made many of her own patterns. She also encourages people to mix and match various designs and think about using them in different orientations to get different effects. Keep that inventory of stitched out shapes so you can refer to them for a variety of projects. Test stitch and move that piece under a piece of muslin to visually check how close or distant you like the design on your borders or blocks. Take notes on your stitch outs to save time when stitching in future projects. I know there was so much more but honestly I was not taking notes. I can say one thing for sure and that is that Patsy loves...or should I say, LOVES her Babylock Embroidery Machines! LOL I should tease because I too love mine and they are the most intuitive and user friendly machines I've ever had the pleasure of using. Brother machines are also very user friendly and made by the same people so I'm told. If you blink, you might miss Patsy....she is on the move. Next week she'll be at the Road to California Quilters Conference along with several other wonderful teachers I know including: Sarah Vedeler, Julie Herman, Lady Eleanor Burns, Edyta Sitar, and Cheryl Phillips. 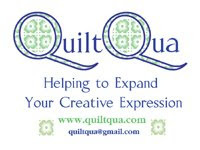 There are a ton more teachers I just don't know all of them....yet :) Plenty of friends are going as well so I hope everyone in Southern California actually knows how blessed they are to have so many womderful and inspiring people gathering for some quilting fun. I remember leaving a comment on Chris Daly's blog because she was opening this amazing Retreat Center and looking at her pictures made me dream and drool about going there with some girlfriends to sew. The name of it is Woodland Ridge Retreat and it is in Downsville, WI. If you have not visited their website, go look at this beautiful place...there isn't anything they don't have...including barrier free showers...oh yeah baby! Chris was so kind that she even offered me a gift certificate toward a visit to their Retreat Center, can you believe that one? Talk about generous!!! This bundle was amazing and I have not had the time yet to play with all the yummy goodness that was included in the package. I will post a review when I have the time to use them. I'm in shock that I won so many amazing things recently. I guess it was in part due to my inability to move around much during the holidays and I was on my computer more than usual. I'm headed to PA this weekend for my annual PA Retreat with my girlfriends there. I so badly need to get away and I look forward to this event every year. Last year I ran into Brenda's car necessitating a repair....lets hope this year comes off without a hitch! The Flamingo Family is now up to their ears in snow! This is not the first floor, nope....it is a pix from the second floor of our home. The drifting snow on our roof...amazing isn't it? The snow and freeze has slowed everything down, which I absolutely love :) The slower life goes the happier I am!!! I was able to make these several days ago. Not been able to make anything else because this is the 4th day of no-school for my co-workers. YIKES....I'm up to my ears in pokemon cards, games, pine wood derby cars and oh yeah....that's right...laundry...double YIKES. I've heard some say they think this is all due to global warming.....I'm thinking Wal Mart drove down the price of Arctic Freeze and some hoarder let it all go at once. I hope everyone who is affected by this Arctic Blast is slowing down and taking time to enjoy the beauty of the white snow and life at a manageable pace. The sky is dark but the snow is white, beautiful and falling rapidly. I took these photos earlier today in hopes you would enjoy them as much as I do. I was trying to capture the snow flakes falling but you can really only see that if you look are the dark tree stump in the back ground or near the fence rails. Naturally my co-workers are fast at work building a snowman. I wish I could be out them with them but my mobility is still limited with my ankle. Sometimes I sit with my foot up and drink a cup of joe...in my new coffee mug. Do you recognize the pattern? I adore these coffee mugs and you can get your very own HERE. I find it very difficult to get much done because I can't be on my feet too long because of my healing ankle. 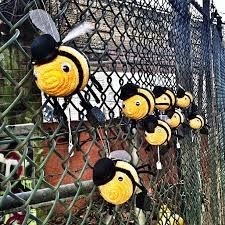 I want a team of worker bees to show up here and get things done for me....know any giant swarms of worker bees that are bored? Problem is, I may need more like 25 - 30 who are all excellent at cleaning and organizing. Since breaking my ankle back on Oct. 12, 2013 it has been very difficult to get things to their final destinations. Playing catch-up is still a slow process and I'm doing my best to have patience. Organization....now that sure is a word that means many things to many people. I think of organization as having things in their place and knowing where that place is....consistently. My problem has been and continues to be the time I spend organizing is typically wasted because how I decided to organize things didn't work out so well. About 3 or 4 years ago I went and bought large clear bins thinking my fabrics would not get dust on them and I'd be able to see through the bins and know what is inside. That didn't work so well because they bins are heavy and I'm always sorting through them and that makes a huge mess. My energy is drained not by creating but by sorting. Next came these rolling bins from IKEA. They work pretty well but they don't protect from dust and I can't always see the color ranges I'm looking for. I've used Google um-teen times to find a solution for organizing my fabrics that works for me. I have to say it all depends on the space you have, your preferred style (by color/yardage/project etc), and your budget. I've spent so much money on organizing already and I'm concerned that if I try something else that I'll be out more money and more energy. I may have found a method that works well and is within my budget....I'm not saying its the end all and be all just yet...time will tell. I purchased the acid free comic book cardboard and I've begun making mini bolts. This is as far as I've gotten and there certainly is plenty more to go....however....I really do like being able to see the fabrics once they are shelved. Next comes the shelving....that comes later :) My girlfriend Jean has all of her fabrics stored similarly in a shelved closet and I fell in love when she opened the closet. It is a huge task to re-organize....however I can do it an hour or two at a time while sitting with my foot up. I also have an issue with thread (I have so many issues I could start a blog entitled: I Have Issues). I have several of the Mega Rack Wooden Thread Racks and they work well for most all of my thread. Now I'm doing more machine embroidery I find I'm wanting a better system for storing my Floriani Threads. When doing machine embroidery the patterns give numbers and then I have to see if I have the color in my "private stash" (we know I have every color they make and several of each well within reach :) will call for certain colors. At the present time I have to use my Floriani Thread Guide . I circle each of the threads I have in my "private stash" and they are numbered (wildly I might add) My issue is how to sort them. Do you sort by color? Number? I've decided to sort by number regardless of the color so I will save time looking up which number is what color. I like my energy used in creating not in searching for small numbers written on spools. This does not mean I always use the colors suggested....but I do want to know the hue and range before I head off into my own creations given I'm not an artist. I've only gotten as far as taking all the thread off the table and putting them into a drawer....soon I'll organize them by number. The decision to use my Presencia Cotton Thread drawers for personal use may be a win-fall for some of you. Why? Because I'm going over to IHAN® now and begin adding each color, solids and variegated, and I'm marking them 1/2 off. I'll need some time to get them all loaded, but if you love Presencia 10 gram 16 weight thread....act fast because I'm certain it will sell out fast. 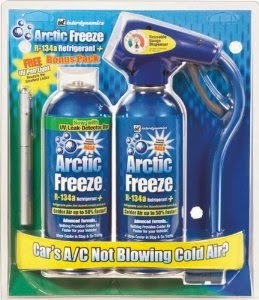 If you already know you want to stock up, you can e-mail me and I'll put those aside for you (IHaveANotion dot com). So that's what I do when there is a Level 3 Snow Storm Warning issued....what do you do?